Another Delco Guy In South Jersey: My New Ride! 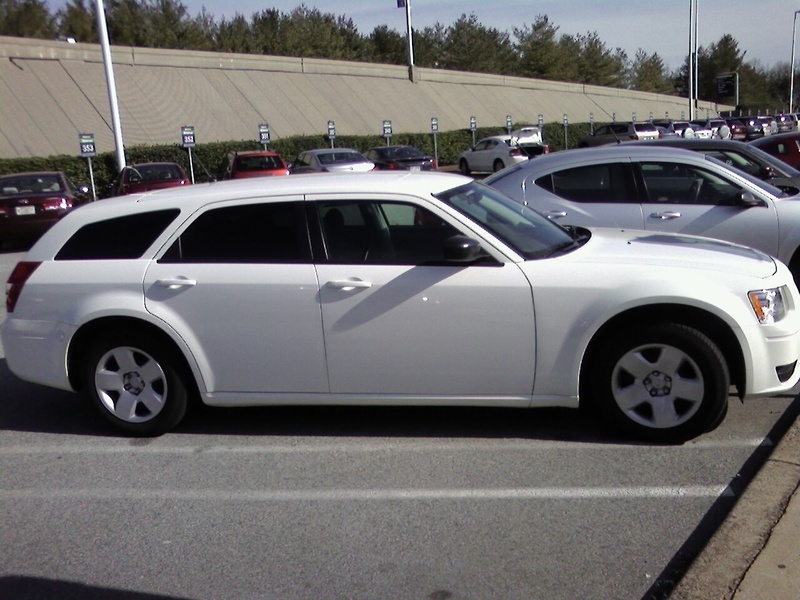 I have to thank the folks at the Greensboro Airport Enrterprise for the sweet deal on the sleek white Dodge Magnum. I've always wanted to try one of these out an now I have one until Sunday!! In the Lot . . . I HATE When That Happens!! Headed to the Final Four!